Phyllis can't convince Uncle Phil to get out of bed to make his prediction on Groundhog Day. When Uncle Phil realizes he has missed all the signs of an early spring, he knows it's time to retire and pass on the title of Punxsutawney Phil, Only this time, it's Punxsutawney Phyllis! Susanna Leonard Hill is the creator of Punxsutawney Phyllis, which Booklist called "charming" and which School Library Journal referred to as "exuberant." She lives in New York. Jeffrey Ebbeler has worked as an art director, book designer, and illustrator. 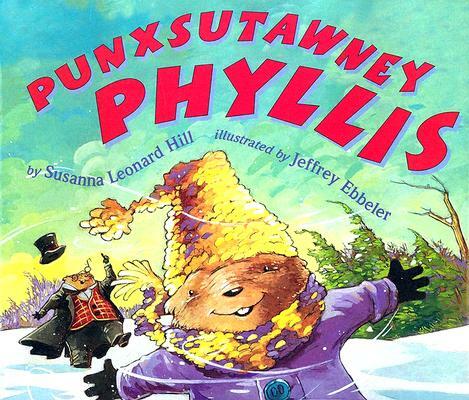 School Library Journal called his illustrations for Punxsutawney Phyllis by Susanna Leonard Hill "exuberant . . . rustic [and] cozy," and Booklist claimed his artwork was "the main attraction." He lives with his family in Chicago, where he also plays the trumpet and drums in local bands.